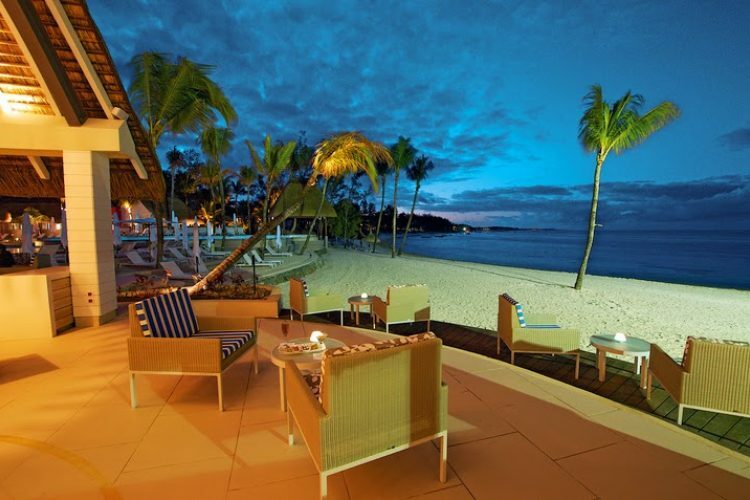 The resort boasts a 700-metre long white natural sandy beach running along a sheltered bay. The adjacent tropical bay is a haven for fish and marine life with plenty bathing areas and diving spots. Ambre is a 4-Star adults-only above 16 years resort set in a lush tropical easy-going environment where island living can be experienced at its best . Ambre hotel is located at Palmar-on the east coast of Mauritius The resort is one hour away from the airport-50 minutes from Port Louis-the capital city and 15 minutes from Ile aux Cerfs. 30pct advance payment is non refundable. Exceptions may apply- please see rate rules. Children not admitted in the hotel. Minimum age- 16 years. Largest Meeting Room Size: 1507 sq. ft.
Sustainability is an integral part of Sun business model and business practices. Through close collaboration with our Resorts’ Management and Partners, we actively work to reduce the environmental impact of our business activities and continually improve on practices aimed at preserving natural resources. • Water use optimization through rain water harvesting, reuse and recycling of water and reduction of per room night water consumption. • Food products are sourced locally and regionally whenever possible, with preference given to organic products whenever possible. We had a lovely time at Ambre hotel for our honeymoon. It has a wonderful view over the beautiful lagoon of Belle Mare. Since it is an adult hotel it was very quiet and could enjoy a peaceful time.. The food at the buffet has been epic for us, very good food and very good service by the staff there very friendly.. We will be back soon for sure for some more good times there.. Thank you again all the staff there.. This is a very good hotel despite its setup and design is starting to show its age. Since the day we checked in, the staff were very friendly and helpful. Our room was ok, again the style a bit dated but it was good nevertheless. The king sized bed was comfortable for a good sleep and if you take the all inclusive package the fridge is replenished with soft drinks, water, milk and chocolate bars every day. The food is excellent throughout the day. You are given a wide variety of food for the buffet and there are 3 main restaurants to choose from. Parking facilities inside the hotel premises are limited. If full you will have to park outside but rest assured your car will be safe with a guard permanently set outside. The beach is good with soft sand and feels really good walking barefoot on it. However the hotel is starting to be plagued by erosion. Some places the sea has almost met the hotel buildings. Overall it was a good experience. It is definitely recommended. The Ambre Hotel was a real treat. As countless reviewers have already mentioned, the staff are absolutely outstanding in their friendliness and professionalism. Girish, Nathalie, Sheila and Ravi of the Indigo restaurant deserve a special mention and the fabulous Shirley, Evan along with the other beach/bar service team couldn't have done more to ensure we were fed and watered all day long at the beach. The food was plentiful and varied with the desserts being delicious and beautifully presented. Breakfast was exceptional with a full range of hot and cold dishes available coupled with an extensive selections of breads and pastries. Theme nights at the Indigo included Italian, French, Arabian and Chinese where the dishes of the country were on offer and cooked to perfection. Our room was everything it needed to be with a well stocked bathroom, plenty of towels and loo paper. Air conditioning and a well stocked mini fridge along with a hair dryer and plenty of storage space meant the room was cool and uncluttered - ideal. The beds were really comfortable with good quality linen. The spa has a sauna, steam room, jacuzzi and a great outdoor shower. The full body exfoliation scrub and massage was one of the best I've ever had anywhere in the world, absolutely wonderful. The pool was cooler than the sea but still really pleasant to swim in and as it's the same depth all over, is great for those a little less confident in water. We were not too lucky with the weather which brings me to my only (slightly) negative point. There could be more comfortable seats around the reception area to sit when the rain is pouring down. We had to go to our room and sit on the bed to be comfy but it would have been much nice to been in a comfortable chair elsewhere and still see the scenery. I would be delighted to go back to the Ambre and have no hesitation in recommending it to everyone. Amazing resort with a beautiful beach and pool. The service was awesome, food was delicious and there was so much to choose from. The rooms and service were excellent. The spa was amazing and staff were so courteous. The candlelight dinner on the beach was just so romantic. Ambré made our honeymoon an unforgettable experience. Had a great stay with my spouse at the resort. the facilities are great, place is neat and well maintained, the pool is amazing and the room was spacious and very comfortable. We enjoyed a large range of entertainment including the dancers on Saturday night. The area where you can improve is the hospitality of the staff. although we were always well treated, we found that their is this missing genuine smile that has made the mauritian hospitality sector so successful. It's not often you find best service at a hotel. At home in the UK we seem to make do with a poor level of service so it was such a delight from the moment we stepped out of our taxi to receive what I would describe as the best service we've had at a hotel worldwide. Many thanks to the service desk, all the people at the buffet and Italian restaurant, the ever hard working beach and corral bar staff and everyone at Ambre who always smiled and seemed to actually be having fun. Big shout to Ravi at the buffet restaurant, the most polite, informative and pleasurable guy, Harsh who provided an exceptional level of service at the bars and always with a smile and a fist bump and, Cheryl the most beautiful girl with the perfect smile and best service at the corral bar. We WILL be back guys, it was a joy to stay with you. Fantastic resort. Beautiful pool and dining areas. Stunning beach. Resort is well kept. Gardens and plants are beautiful and add to the ambience. Staff are friendly and helpful. Go the extra mile to assist. Lovely food at the Italian A La Carte Restaurant. Clean rooms. Rooms are serviced daily. All inclusive option is highly recommended. We spent 7 days here and will gladly come back for another stay. The only thing I noted for my personal tastes is the lack of variety with vegetarian food in the buffet section. Unrelated to the hotel itself are the many birds you will find in the resort grounds. They love to steal your food. Little bastards are fun to watch. Extremely satisfied with the whole package. The location of the resort was protected from the heavy winds which made the beach a pleasure in all weather. The room was perfect and expertly cleaned every day. The food was also outstanding and they did an excellent job of providing enough variety for a 7 night stay. The definite highlight for us was the service received from the staff...all members. There seemed to be great pride taken in each person's job. It felt evident that there is a respect amongst the staff - it was great to watch the "senior" staff greeting each other with handshakes in the morning. Very nice hotel. Staff cordial. Food Excellent. Drinks plenty. Good for those who tolerate dri ks+++. Room is spacious with all amenities needed. Electrical sockets are diff from the one Mauritian use.. The guys at the boat house are super good. Water sports included in our package are great. Hubby and I spent 2 days in a deluxe Seaview room. We’ve been welcomed by Vanessa she is lovely and very helpful. The room was good, clean and spacious. We had a nice view from the bedroom, loved it ! Food was tasty. Amazing pizza at the restaurant! Boathouse activities are fun. Entertainment was fab ! I enjoyed aqua gym, good work out and so much fun. The staff are amazing, they work hard to please the clients.. it’s not an easy job and they do great ! Keep it up guys. Thank you Ambre ! Well run, gets busy. Sometimes you have to wait for drinks but it's 1 out of the 5 days we have been here. Otherwise it's beautiful. Enjoying it! Well worth the price! just with our arrive we felt in holiday :) your employees are very friendly, the rooms very nice, the whole hotel is clean and tidy as well as the beach! your food is very very good and now I like the Indian kitchen :) Your reception team is very friendly whenever you need help, also the people in the restaurant ! We felt so good from beginning to end and prefer coming again :) Thank you! Went here for my honeymoon, but forgot to mention it when we booked. After mentioning it during check-in, the staff truly went the extra mile to make it unforgettable. Thanks again for everything! On top of the staff this hotel offers great food and drinks, and a pool with a view to die for. I absolutely recommend coming here! Very huge and newly built beautiful property. Service is really impressive and staff is helpful. All in all looks and feels like a 5star property. But the only downside about this hotel, that too only for Indians, is the availability of veg food. Indian Veggies won't be able to enjoy or relish the food here much as the options are very limited and taste of veg food is completely bland. However you can ask the hotel or chef head to prepare separate Indian spicy type food as per personal choice which can be done on informing them a day in advance. Other than this, Indians might face issue in using the toilets in rooms as they are completely English types (using paper roll) but again this can also be taken care of in special request to provide the required amenities. Except these 2 things, the property staff location everything is top notch. Went on the all-inclusive package with my family and it was simply awesome. Had a lot of fun. The food at Indigo restaurant was very succulent with a large variety. The evening entertainment as well as the foam party were lively and relaxing. We had a very nice time, totally worth it. Thank you to all the personnel of Ambre resort. We thoroughly enjoyed our stay at Ambre during our stay in February 2018. I cannot fault Ambre on anything - the food is great, the drinks are great, the service is good and the staff really friendly and helpful. A special shout-out to Siham at the Coral Bar - his efficiency and level of service is second to none. If I must criticize, then it would be the evening entertainment, which was a bit repetitive, i.e. mostly the same every night. But it didn't make our stay any less enjoyable. We would gladly visit the resort again and I'm recommending it to friends and family. Everything at the hotel was as we expected. However I was surprised to find that there were supplements to be paid . The principal of " all inclusive" is well established to mean all food and drink except Champagne and premium spirits and liqueurs. All the food in your beach restaurant required a supplement and if one wanted prawns , the price was 1500 MRs extra. This is exorbitant for so mundane a dish. Think again about your claim to be " all inclusive "
Ambre resort works like a well maned ship. Everyone knows exactly what they doing and always eager to assist. The resort is beautiful with a stunning back drop of the beautiful ocean. The restaurants cater for every need and even being on my own I did not feel awkward. Dolce Vita restaurant was my favorite and the food absolutely indulged my palate. The fitness centre was perfect to accommodate my daily gym routines. My only critic is the rooms closest to the main area suffer terribly from rowdy guests returning to their rooms. The passage way echos through your room and unfortunately no matter how dead you sleep these selfish people will wake you up. Perhaps signage for the passages would help to advise guests to keep in down. Just returned from our holiday to this Resort and had an amazing time. Staff were exceptionally attentive, friendly and helpful. Clean and comfortable room with fridge being stocked up on a daily basis. Love the milk container you were given and size of the toiletries supplied was amazing. Food was superb and basically I cannot think how this hotel could improve on anything. Would thoroughly recommend Ambre to everyone. This was our first experience of the Ambre Hotel, and well it was hard to find fault with anything! The staff, were brilliant, nothing was too much trouble, our room was clean, tidy and very much upto the expected standard. The facilities and food at the hotel were very good, and if we found anything that was wrong, it was sorted with minimal fuss, and very quickly! Every thing described in the brochures were either accurate or an understatement! Couldn't fault the whole trip and look forward to returning. Keep up the excellent work! Picked a quiet location away from main reception. Which is near the Spa. So when everyone is chatting and laughing until late. You cannot hear it. Rooms need a little updating but overall clean and tidy. Friendly attentive staff. Free water sports - glass bottom boat- paddle boarding- pedalo's. Great for snorkling. Clear blue water. Plenty of food in a choice of 3 restaurants. Mini bar in room. We spent 10 beautiful and relaxed days in this Resort. The staffs were very friendly and the food was very delicious. Specially the seafood in the Restaurant La Plage. Also the beach was great and the ocean was clear. We will go there again. Our second time here. Beach is fabulous and AI is really worth the money. Diya is exceptional at the bar and a trip with Chris to the islands is wonderful. It is impossible to take advantage of all the outstanding food three times a day. Truely paradise!! First time we stayed all-inclusive at a resort. It was great! Everybody is kind and smile always. The pool is a bit cold, but awesome for cooling down after staying in the sun for a while. The view over the beach is spectacular and the cocktails that can be ordered while laying on beach chair are nice (okay, sometimes you have to wait for a few minutes). Special thanks to Vanessa from the guest services, and Kevin and Deena from the restaurants who paid all extra attention to my wife's lactose allergy. Every morning she was asked where she wanted to have dinner that night and a special menu was made right away. And guess what, all meals in all of the three restaurants was delicious; the buffet as well as all a la carte menus. The room we got was spacious and the bed very big. The floor could be mowed a bit more, the water pressure of the rain shower could have been a bit higher (it felt like I was standing in a drizzle) as well as the height of the normal shower, but furthermore, all the rest of the resort gets 10 out of 10. A really nice Resort. 3 restaurants (2 on reservation for the evening), and a quite nice beach, although not the best one in the area. The staff is very kind and friendly. The rooms could use some kind of renovation, but they are good. Wide offer of non motorized water sports available. The food offer is pretty large and good but it tends to repeat itself after a couple of days. Definitely a really good choice for the money. Staff was very warm, Specially Mr Keshav at the reception who was very kind and helpful. Service was good. We will surely recommend to others. We loved our stay at the hotel. The Staff was always nice and ready to help us. The food was good, the service sometimes felt a bit slow and messy When the restaurants were full. The room sometimes had bugs coming under the sink and sometimes looked not so clean (bits of dust, cups not changed etc). But we came to the Ambre to have fun, enjoy the scenary and its services and that we did. I was very impressed with the resort. Needs a little work here and there. The bar fridge we had needs to be cleaned or replaced. I was very impressed with Shahaad at the front desk . The waitress in the Italian restaurant Neha Kun-Kun need to be looked after she has a very bright future ,very sharp and efficient. We had a tour to the South part of the Island with a tour guide called Jay who was excellent and was very informative , the best tour guide we have had . He would be a good guy to train other tour guides. One thing we did notice with all the drivers was that they were very careful. First and foremost I would like to thank the staff. Their service skills are impeccable. They were very attentive towards my needs and very friendly no matter what time of day. They made me feel comfortable throughout my stay. I would like to give a special and personal thanks to "Ranita" who cleaned our room every morning. She was hands down the loveliest person I encountered at the resort. She went above and beyond her job with the personal touches she gave our room. All her efforts was very much appreciated. One improvement I would recommend for the resort would be for the beach restaurant to have a more popular seafood menu with items such as: Prawns, Calamari etc.. Second improvement is to have a slight variety of food. I understand things can get expensive with food and consistency is key but for holiday makers that are spending 2 weeks there. It would be nice to have a change in menu on a week by week basis. The complementary water activities on offer were very good and I had fun. Very much enjoyed it. I will definitely be leaving a review on TripAdvisor and would definitely recommend Ambre Resort $ Spa to my friends and family! A excellent holiday, very relaxing and intimate. The staff here couldn't do enough for the guest. It was nice to go to a hotel were you don't feel under pressure to tip on everything you do. Benito and Ricky were a lot of fun and made us feel welcome. A top holiday and I will look forward to coming back in your summer. Picturesque hotel, good facilities, excellent and very hospitable staff but food not very impressive, less room amenities. Worth a try, especially for the good service and warm hotel staff. Fantastic location on a beautiful beach. Staff are great. We had the best holiday ever at Ambre Spa Hotel last November and are now starting to look at going back this November. The staff are very friendly and professional. It's one of the first all inclusives we've been to that actually means all inclusive, including the use of their water equipment (all bar scuba of course). The beach has plenty of space for all guests without being over crowded and the rooms are a little dated in comparison to (some) european hotels but they come with all the mod cons you need, are spacious and very clean and the room service is excellent. The WiFi works well and pretty much everywhere, although having to keep logging on is a bit of a pain. The Island is beautiful with plenty to see and do and far bigger than we expected, but as another mentioned there are a fair few stray dogs on the island, as an animal lover this was quite tough to see, but i didn't see any being mistreated or even skinny or ill. I am saddened to read the review about the cruelty to the stray dogs on the beach by the hotel though, I assumed the dogs chose to rest near this hotel as they gain refuge from other less animal friendly hotels - perhaps my ignorance, but I didn't see anything bad when I went, however I wouldn't return if I did witness it! The Scuba diving was marvellous and one of the main reasons we are looking to return both chaps Sessen and Vishal were the best Scuba instructors we've experienced - professional and safety conscious. Sessen did our Open Water Padi with us and I must say, for someone who was a little nervous, I felt like I could trust him wholeheartedly. I honest recommend Ambre Spa Hotel and I hope our second visit leaves us feeling the same way we did the first time. Very nice hotel, food was awesome. We spent new year's first days, it was awesome. This was an absolutely wonderful stay. Food was so good. Hotel has good entertainment and games. Staff is very welcoming, smiling, helpful n caring. Overall excellent experience.